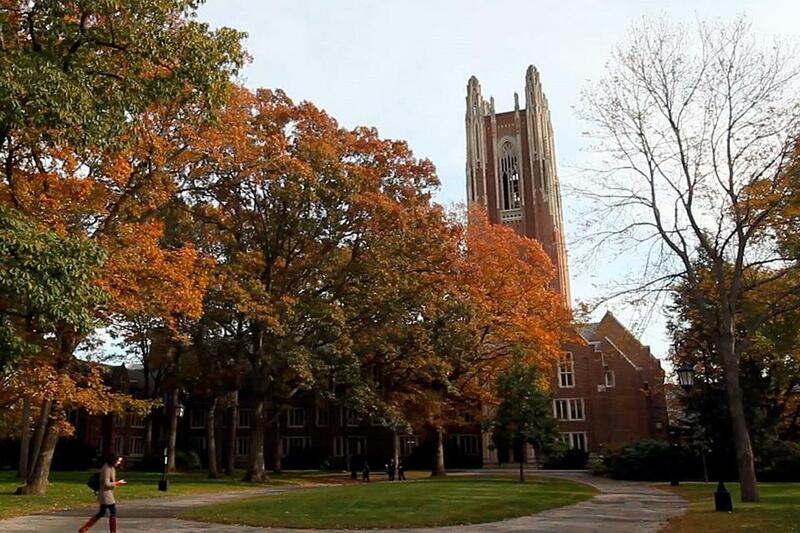 Wellesley College becomes the third local college to create a more inclusive admissions policy by admitting transgender students. Wellesley College said Thursday that it would begin accepting transgender women, a major shift in its admissions policy applauded by professors, students, and graduates even as some said it does not go far enough. The liberal arts college west of Boston will for the first time consider for admission any applicant who “lives as a woman and consistently identifies as a woman,” according a letter it sent to the school community. The policy is expected to take effect for the next admission cycle, for the class of 2020. Individuals assigned female at birth who identify as neither male nor female are also eligible for admission, the school said. “We will support all the students who are at Wellesley and all of their kinds of finding themselves in all of the ways that we can,” college president H. Kim Bottomly said in an interview. The new policy, approved Wednesday by Wellesley’s Board of Trustees, comes after Bottomly formed a committee last fall to study educational, social, legal, and medical considerations about gender identity, according to the college. Applicants who identify as men are not eligible for admission. Students who come to no longer identify as women during their time at Wellesley will still be allowed to graduate, provided academic standards are met, the school said. The college will also assist students who wish to transfer out of Wellesley because they no longer identify as women, according to the letter. Wellesley will use female pronouns and other female-specific language in all college communications, the letter said. It did not contain the word transgender, but the context was clear. “For the current generation of Wellesley students, our understanding of gender has always been more complex than it was under Henry Durant in 1870,” said Hana Glasser, a senior and student government president, referring to the founder of the college. Discussion of whether to change the admissions policy permeated campus over the past months, at formal events and in hallway and dorm room conversations, Glasser said. The new policy is a relief for students, who now know where the university stands, she said. Wellesley becomes the third local women’s college — after Mount Holyoke and Simmons — to create a more inclusive admissions policy by admitting transgender students. Mount Holyoke, in South Hadley, considers all students except for those who were born male and who continue to identify with that gender. Simmons’ guidelines are broader — it accepts students born female, regardless of current gender identity, but also those born male who now identify as female. A committee at Smith College, in Northampton, is reviewing its admission policy — which requires consistent identification as a female — with regard to applications from students with different gender identities, a spokeswoman said Thursday. The colleges say they are responding to societal changes that are redefining how individuals, particularly young people, identify themselves. Others said Thursday that Wellesley’s new policy falls short. It can be hard for someone to consistently live as a woman in the years before college, said Genny Beemyn, director of the lesbian, gay, bisexual, and transgender resource center at the University of Massachusetts Amherst. “Even if you have very supportive parents, it’s often very hard to be out in high school,” Beemyn said. Mount Holyoke’s approach is better because it accepts all trans-identified people, she said. A 2001 Wellesley graduate, who now identifies as a man, said the new policy raises questions about whether Wellesley has created a different standard for transgender women. The policy “seems carefully crafted to satisfy those of us who want to see Wellesley admit all women, while leaving the college plenty of plausible deniability with which to reject trans women on the basis that they aren’t ‘living as women,’ ” the graduate, Tim Chevalier, wrote in an e-mail. The change is meant to reaffirm that Wellesley is a school for women, said Sarah Wall-Randell, an assistant English professor at Wellesley and alumna who served on Bottomly’s committee. The group of students, staff, and faculty researched other schools’ policies, legal issues, and scholarship about gender, and held campus events to discuss gender identity. The committee sent its findings to the trustees in a report, she said. Laura Krantz can be reached at laura.krantz@globe.com. Follower her on Twitter @laurakrantz.